Prince Felipe and Princess Letizia completed another successful trip to Latin America last week, with stops in Panama and Ecuador. 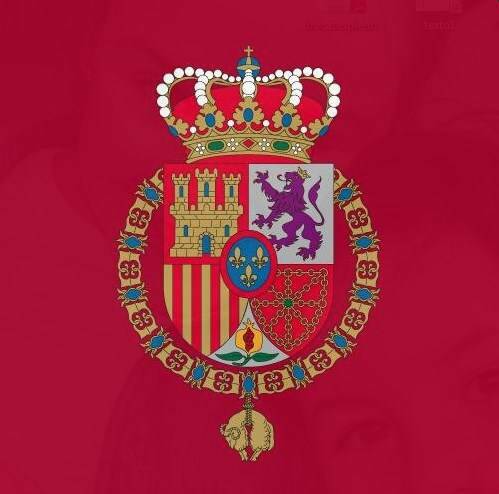 The Prince and Princess of Asturias met with Panamanian President Ricardo Martinelli and his wife Marta Linares de Martinelli. They also attended a gathering of Spanish businesses in Panama. Their Royal Highnesses highlighted the significant economic bonds between both countries, including Spanish firms participating in the expansion of the Panama Canal and a transit project. At the Panama Canal zone. 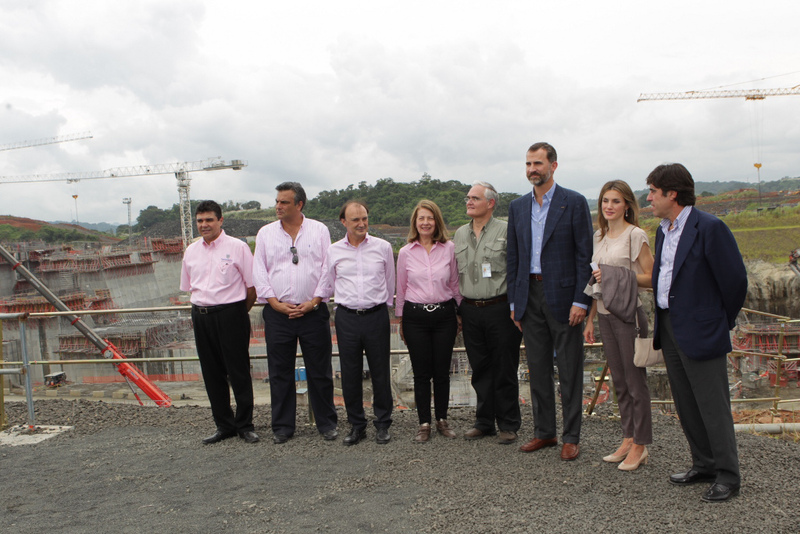 Don Felipe and his wife then made their first visit together to Ecuador where the Prince met with President Rafael Correa. King Juan Carlos and Prince Felipe of Asturias met with leaders of Spain’s autonomous communities at the Spanish Senate building today. The meeting, of course also attended by Spanish government leaders, including Prime Minister Mariano Rajoy, was especially important because of disagreements about the Spanish budget, funding for the country’s region’s and pro-independence rumblings in Catalonia. Gathering in front of the Spanish Senate building in Madrid. 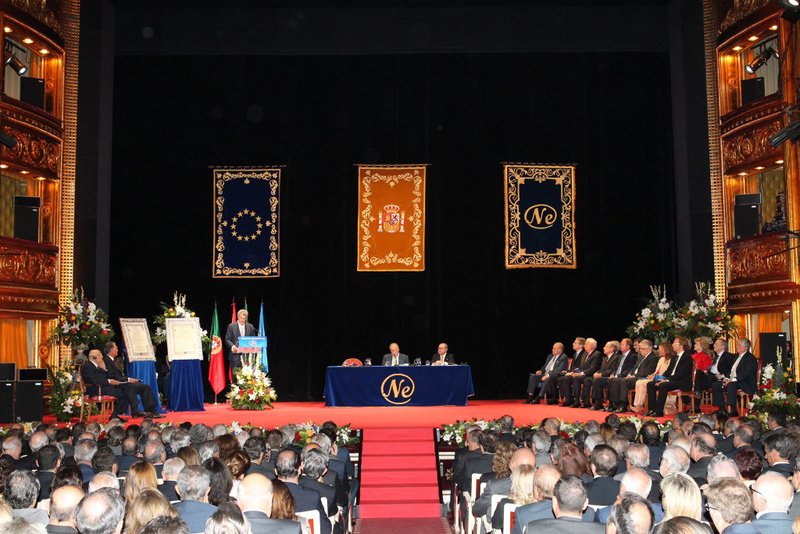 Elsewhere in Madrid, King Juan Carlos gave Nueva Economía Fórum awards to Italian President Giorgio Napolitano and Portuguese President Aníbal António Cavaco Silva, both on behalf of their respective countries. The Fórum facilitates debate between social, business and political leaders. 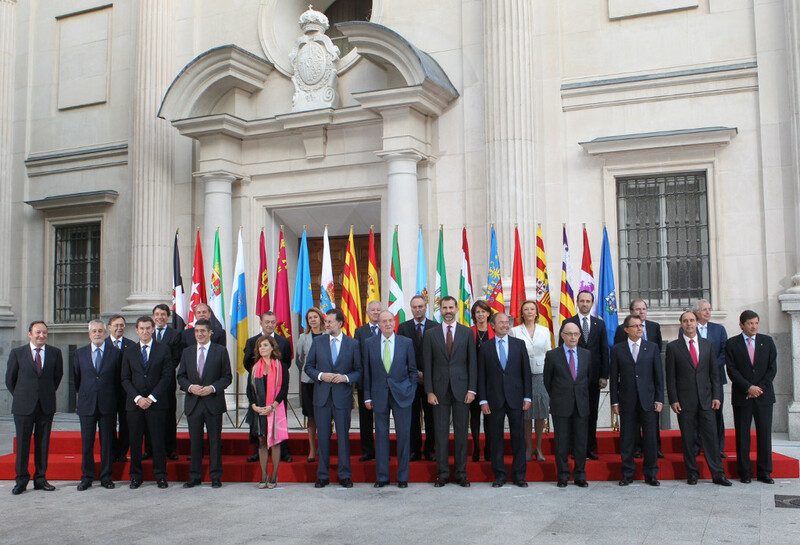 President Napolitano also met with the King at Zarzuela Palace. King Juan Carlos at the head table. Prince Felipe and Princess Letizia then rushed to the airport for their official visit to Panama. Their agenda includes a visit to the Panama Canal expansion project. Their Royal Highnesses will also visit Ecuador during their time in Latin America.